'sé seo cad atá againn faoi láithir sa bhosca 'Caillte & Faighte'. Má's leatsa aon rud anseo, faigh é san oifig. Ar chuma eile, beidh siad ag dul go dtí an siopa dara láimhe i gCionn tSáile. Here is what is in the 'Lost and Found' box at the moment. If anything belongs to you, please collect it at the office. Otherwise items will be going to the second hand shop in Kinsale. Follow this link to view our April Newsletter. Cluiche sciath na scol buachaillí agus cailíní an Céadaoin seo (27/4/16) i gcoinne GS Peig Sayers i CLG na Piarsaigh (sa chathair, Fair Hill) ag a 12. Bus ag fágaint na scoile ag a 10:50. Tá costas €5. Beidh an bus ag fágaint na Piarsaigh timpeall a 1. Beimid ar ais timpeall 1:45. Beidh cleachtadh (practice) ag rang 2 sa séipéal ar maidin, an Chéadaoin 27/5/2016. Caithfidh na páistí (children must) a bheith ag an séipéal ag 08:50rn (8:50 am) agus siúlfaimid ar ais chuig an scoil tar éis an chleachtaidh. 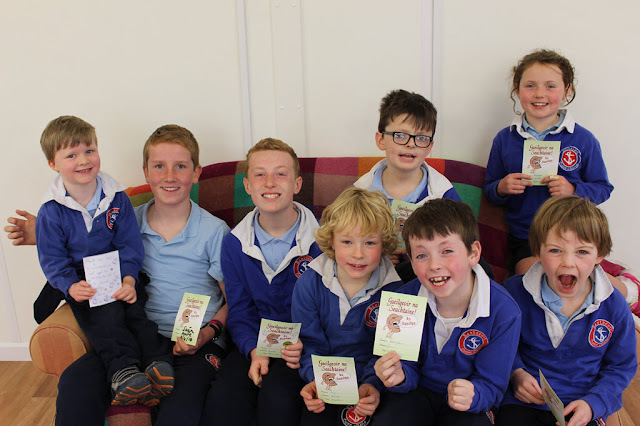 Beidh an Seachtain Scoile Ghníomhaí ar siúl ar scoil an tseachtain seo chugainn 25-29/04/16. 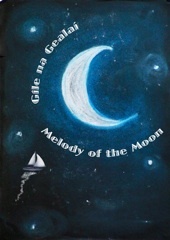 Beidh éide spóirt scoile le caitheamh againn don tseachtain ar fad chun béim ghníomhaí a chur i bhfeidhm, comh maith le obair bhaile spóirt gach oíche (a bheith sínithe mar is gnáth). Beidh 'Wake Up-Shake Up' ar súil gach maidin (8.50-9.00) sa chlós agus tá fáilte romhaibh páirt a ghlacadh linn. Beidh a lán gníomhaíochtaí ar siúl i rith na seachtaine. Ar an Aoine beidh cead ag na páistí gléasadh suas mar an duine/trealaimh/ghníomh ab fhearr leo. Ná dean dearmad tá nasc chuig eolais suimúil le fáil ón suíomh scoile faoin dteildeal 'eolas'. As you are aware 'Active Week' will begin in the Gaelscoil on Monday morning 25/04/16. The children must wear their school tracksuits every day next week as well as completing the 'active' homework every evening (to b e signed as per usual). Every school morning will begin with our 'Wake Up-Shake Up' activities from 8.50-9.00 in the clós (parents are also more than welcome to join in!) Also on Friday we are having an active themed fancy dress-your child can dress up as their favourite sports personality, their favourite activity, sports equipment :-) etc anything 'active/activity' related. Don't forget to check out the links to the interesting information sites from the school website that will be available under 'eolas' soon. Ghlan rang a 3 agus rang a 4 trá an duga (dock beach Spring clean) an Aoine seo caite 15/04/16. Bhailigh siad a lán bruscar (rubbish collected). Maith sibh! Cluiche sciath na scol buachaillí agus cailíní ar an Aoine seo (22/4/16) i gcoinne Rochestown i CLG Dúglas ag a 12. Bus ag fágaint na scoile ag a 10:55. Tá costas €5. Beidh an bus ag fágaint Dúglas ag timpeall a 1. Beimid ar ais timpeall 1:45. 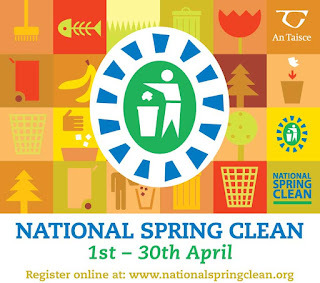 Tá ranganna haca do rang a 2 ag tosnú ar an nDéardaoin seo 21/04/16. Moltar cosaint fiacla agus cosa más féidir. Éide spóirt gach Déardaoin agus Aoine ar feadh tamall anois (rang a 2 amháin.) Ár mbuíochas le club haca chionn tSáile. Hockey lessons in school for rang a 2 starting Thursday 21/04/16. Gum shields and shin guards recommended. 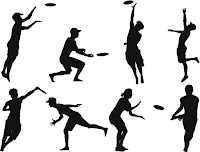 Therefore- sports clothes to be worn on Thursdays and Fridays only now for the next 5 weeks (rang a 2 only.) Our thanks to Kinsale Hockey Club. Tá gach páiste, buachaillí agus cailíní, ag glacadh páirt i mbliots peil gaelacha Dé Céadaoin 20/04/16. Ag siúl chuig an páirc CLG, fágaint na scoile ag a 9.30 r.n. Ag fágaint an páirc ag a 11.30r.n. Ag siúl ann, fágaint an scoil ag a 11.30r.n. Fágaint an páirc ag a 2.00 i.n. €2 an páiste le bhur dtoil, chun costas na duaiseanna agus na boinn a chlúdú. Cosaint fiacla riachtanach, ach níl buataisí peile. All 4th- 6th class boys and girls are participating in a local football blitz Wednesday 20/04/16. See above for times, walking to and from pitch. €2 per pupil. Gum shields compulsory, football boots recommended but not compulsory. A chairde, Seo an amclár don Déardaoin (21/04/2016). Beimid ag stopadh uair amháin don leithreas agus sneaic beag ar ár tslí aníos go Muilleann gCearr. (One stop for toilet and snack on the way up). Beimid ag fágaint Muilleann gCearr díreach nuair atá an seó críochnaithe, timpeall a 1pm. (Leaving straight after show). Go raibh míle maith agaibh. We are delighted with the support we've received through props donations and money donations at our cake sale last Friday. We hope to see some of you in the audience in Mullingar this Thursday. Every person adds to the atmosphere of our drama and is most appreciated. Wish us luck! Dear parents, I have been informed of a case of head-lice in 2nd Class. Please check your child's hair tonight and treat it if necessary. 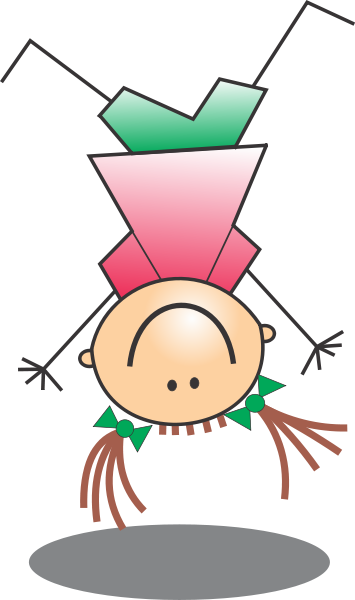 To avoid the head lice it would help to put up the girls' hair and for them to wear a wide hair-band. Thanking you all in advance! Tá gach páiste, buachaillí agus cailíní, ag glacadh páirt i mbliots peil gaelacha Dé Máirt 19/04/16. Ag siúl ann, fágaint na scoile ag a 11.30r.n. Fágaint an páirc ag a 1.00 i.n. All 1st-3rd class boys and girls are participating in a local football blitz Tuesday 19/04/16. See above for times, walking to and from pitch. €2 per pupil. Gum shields compulsory, football boots recommended but not compulsory. Beidh obair na bpáistí ar thaispeáint i halla an mheasarthachta ar an 23/04/16. Beidh searmanas sa chearnóg ag a 3 a chlog agus beidh páistí ón nGaelscoil ag léamh ann. Beidh ceol á sheinnt ag cumann cheol Chionn tSáile. Fáilte roimh chách. As part of the 1916 Commemorations, the national schools in conjunction with Kinsale History Society are showcasing the pupils' projects on the events surrounding the Easter Rising at the Temperance Hall, Kinsale, on April 23rd and 24th. In addition, a ceremony to mark the centenary of the Rising, featuring students from the schools and Kinsale Music Academy will take place at the town's plaza, Short Quay, on Saturday April 23rd at 3pm. Táimid ag díriú ar an mbulaíocht an tseachtain seo ar scoil. Clúdaíonn na múinteoirí é seo go rialta sa rang O.S.P.S i rith na bliana, ach an tseachtain seo táimid ag caint faoi níos mó. Beidh oíche eolais ag teacht suas ón NPC do thuismitheoirí maidir le do pháiste agus an idirlíon. Tháinig Garda Colin agus Garda Tommy chugainn inniu 13/04/16 agus labhair siad le rang a 5+6 faoi cibearbhulaíocht. 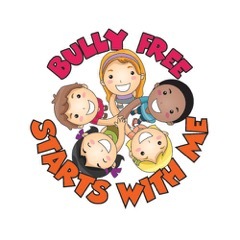 We are focusing on bullying prevention this week in the Gaelscoil. Our teachers regularly cover this topic throughout the year through their S.P.H.E lessons, but this week we are focusing more on it. There will be an information night for parents in the school in the coming weeks on internet safety for children. Garda Colin and Garda Tommy visited the school today 13/04/16 and spoke with 5th and 6th class about cyberbullying. The school is participating in the campaign 'antibullyingireland'. We are implementing our buddy system again where each pupil in the school has a partner who looks out for them and who they can talk to if they ever have a problem. Pupils are learning about how to be an upstander instead of a bystander when possible. Beidh dráma spraoiúil de chuid Mike Kenny, Dorchadas Draíochta, á léiriú ag Graffiti Theatre Company do Rang a 1 i halla na scoile ar an Luan an 18/04/16 (a play for rang a 1 in school hall.) Dráma a fhéachann ar an athrú a thagann ar an gnáth-rud faoi scáth an dorchadais. €1 an páiste le bhur dtoil. Má tá na boscaí airgid fós sa bhaile ag éinne, seol isteach chuig na scoile iad, le bhur dtoil. 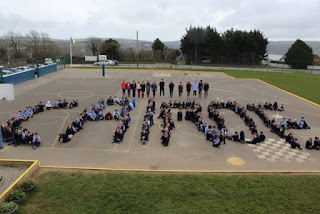 If anyone still has collected money for Trócaire at home, please send in to the school. Comhghairdeas le na páistí a nglach páirt i bhFeis Maitiú i mbliana. Chuireadar an chuid obair isteach agus rinneadar a ndícheall. D'éirigh go hiontach le gach duine acu. Comhghairdeas mór le James Ó Múrchú (Rang a 6) a tháinig sa chéad áit ina catagóir. Maith sibh a pháistí! 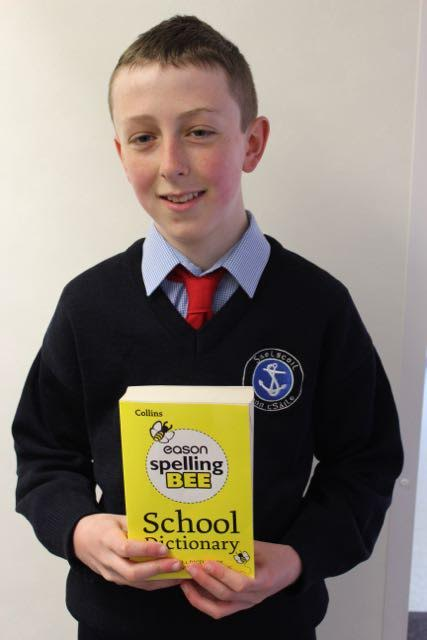 Go n-éirí an bóthar le Daithí Ó Nualláin atá ag glacadh páirt in Easons Spelling Bee amárach 13/04/16 in Óstán Baile an Róistigh. Well done and best of luck to 6th class pupil Daithí Ó Nualláin who is competing in the Eason Spelling Bee competition tomorrow 13/04/16 in Rochestown park hotel. Costas €10 le híoc ar líne nó san oifig. 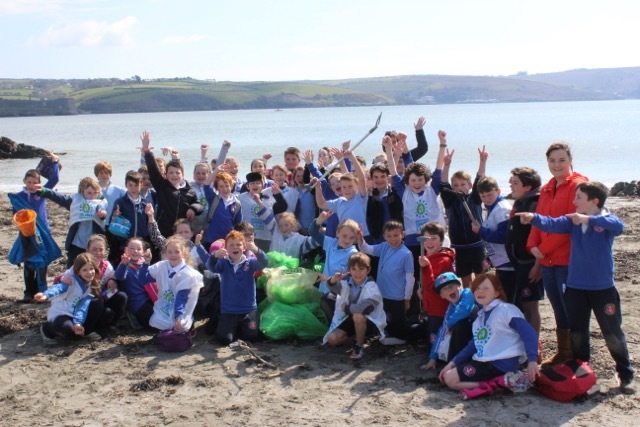 I mbliana táimid ar thóir an Bratach Scoile Gníomhaí. Mar is eol daoibh is scoil gníomhach sinne cheanna féin agus tabharfaidh an brat seo an seans dúinn é seo a cheiliúiradh. 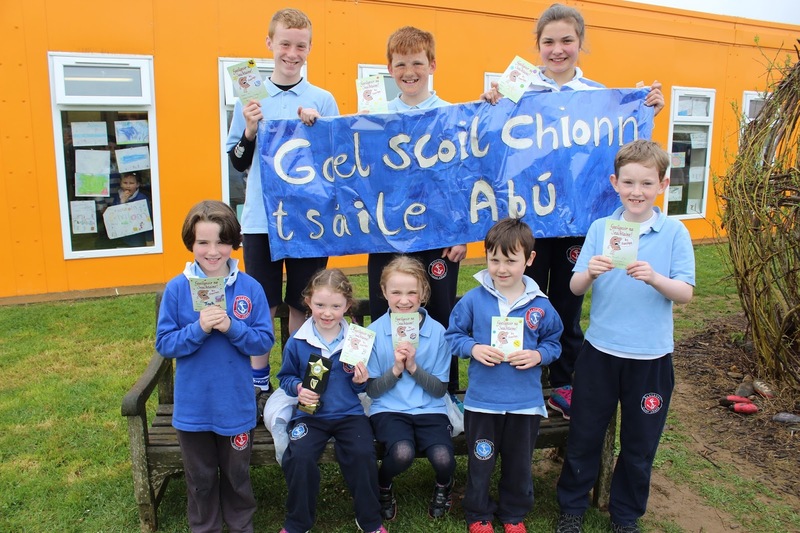 Ta seachtain Scoile Gníomhaí eagraithe againn anseo ar scoil (25-29 Aibréan 2016) agus beidh réimse leathan ghníomhachtaí éagsúla ar siúl againn, gach maidin i rith seachtain na Scoile Ghníomhach. Beidh fáílte romhat páirt a ghlacadh i "Wake Up Shake Up" sa chlós (8:50-9:00) Tús maith don lá! Fáilte roimh chách! Throughout the school year we have been working hard towards obtaining the coveted Active Schools Flag and organising our fist Active Week at school (25th-29th of April 2016). This is a great way to celebrate our already dynamic, energetic school community as well as exploring new and different ways to maintain our successful and healthy approach to school-life. Every morning (8:50 to 9:00) during our Active Week we are hoping you will join us in a whole-school outdoor exercise routine "Wake Up, Shake Up." This is just one of the fun and inclusive activities we have organised to enable everyone to get active! The following links are full of interesting facts and tips for a happy healthy well-being! Beidh rang a 3 agus rang a 4 ag glanadh trá an duga i mbliana, ar an Aoine seo 15/04/16. Gheobhaidh siad bus ann ar maidin, baileoidh siad bruscar agus beidh spraoi againn ar an trá leis. Gheobhaidh siad lámhainní. 3rd and 4th class are cleaning the dock beach this Friday morning15/04/16. They will get a bus to and from the beach. They will collect rubbish and will then have a picnic and play some games. Gloves will be provided. Beidh na buachaillí (ainmithe) ag imirt cluiche sciath na scol Dé Luain 11/4/16. Beidh na cluichí ag tosnú ag a 12. Tá an cluiche ar siúl sa pháirc i Dunderrow. Ag fágaint na scoile ag a 11:15, cluiche ag tosnú ag a 12. Beidh síobanna uainn, más feidir leat síob a thabhairt té chuig Aodán, Ciara nú Hilda chun é a ra! Boys of 4th - 6th class (who have been named) will be playing sciath na scol on Monday 11/4/16 at 12 o clock in Dunderrow. We will need lifts so please, if you can give lifts contact Aodán, Ciara or Hilda! leaving the school at 11:15 for game at 12. Beidh ranganna fichille ar siúl ón Luan seo chugainn ar aghaidh 11/04/16 ó 2.30-3.30. Tá fáilte roimh páistí ranganna 1-6 freastal air. Ár mbuíochas le Olivier Queva agus múinteoir Neasa. After school chess lessons starting Monday 11/04/16 from 2.30-3.30 pm. 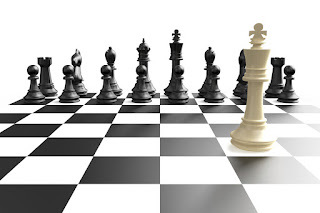 1st- 6th pupils welcome who want to learn/improve their chess playing. Many thanks to Olivier Queva and Múinteoir Neasa. 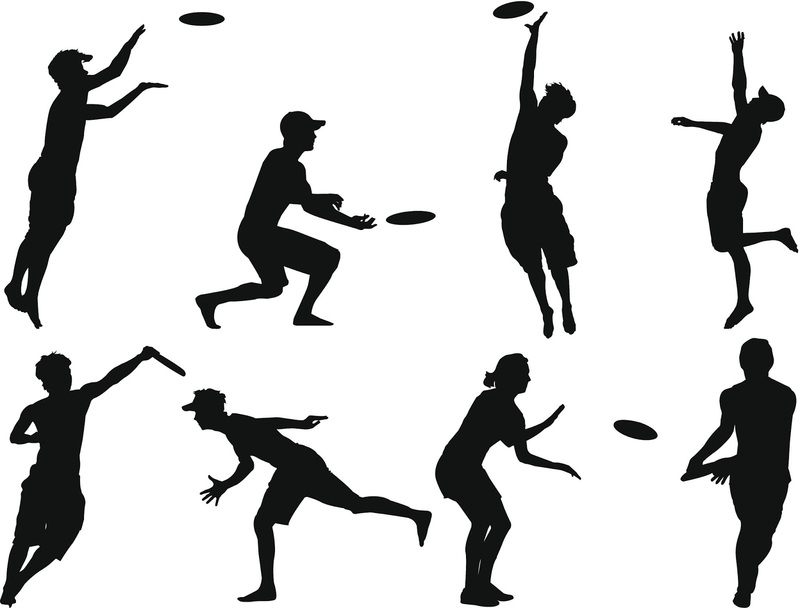 Beidh Rang 4, 5 agus 6 ag déanamh ceardlann (workshop) Ultimate Frisbee ar an Máirt (Tuesday) 12ú 2016. 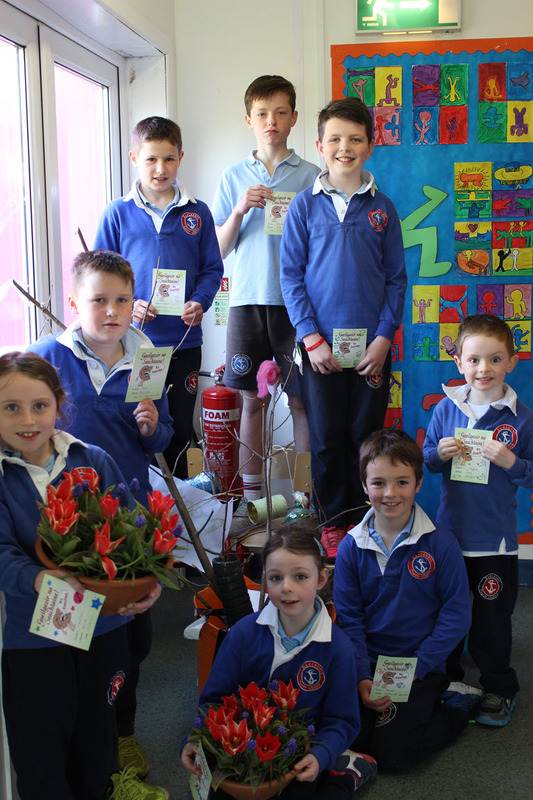 Beidh ar gach páiste €2 a thabhairt isteach ar an lá nó roimh ré. Táimid ag súil go mór leis! This Sunday is the 3rd Sunday of Easter. The Paschal candle and the Easter Garden, showing the story of Easter, will still be on display. Before coming to Mass, we would like the children to do the puzzles and colouring on pages 62 to 63 of the THUMB book. The Gospel tells the story of the third time that Jesus appeared to his disciples after he was raised from the dead. Just as Jesus invited his disciples to ‘come and eat’ the bread and fish, the children are invited to come and share in the Bread of Life for the first time at their First Holy communion. This is also our last ‘Do This in Memory’ Mass before the First Holy Communion. We would like to take the opportunity to wish everyone a joyful day. Just one practical note: if you would like to take photographs inside the Church on the day, it would be appreciated if you could wait until after Mass. Toisc go bhfuil an rialtas ag iarraidh an líon pinginí 1c agus 2c atá in úsáid a laghdú, tá cinneadh déanta againn iad a bhailiú ar scoil chun airgead a bhailiú. Má tá sibh ag iarraidh fáil réidh le sóinseáil sa bhaile, seol isteach ar scoil é le bhur dtoil. Beidh rás idir na ranganna agus gheobhaidh an rang is fearr dúis. As the amount of 1c and 2c coins in circulation is being reduced by rounding in shops, we have decided to collect them in school as a fundraiser. If you have any coppers and spare change at home, we would be grateful if you would send them in. Don't hoover up that 1cent under the car seat! Send it in with your child to school! There is a container in every classroom, the best class will receive a prize.